The aim of my article is to present an overview of the Oregon’s organic wine sector. However, first and foremost, let me express my gratitude with the University of Portland for their hospitality, and, in particular, to Kate Regan and Mary Simon, who accompanied our group during our visit in Portland and Oregon´s countryside. I would also like to thank all those companies and professionals that participated in our Study Trip program and/or showed their activities and facilities on site. On March, 10 we visited “Lemelson Vineyards” a winery nearby Portland, -a one hour ride by car, approximately-: located in the Willamette Valley. This winery is entirely commited to running its business considering sustainable practices. Indeed, this organic-ecologic approach is not rare in Oregon: according to the Oregon Winegrowers Association, “nearly half – 47% – of Oregon’s vineyards are farmed in a sustainable manner as certified by one of several independent organizations”. This means that roughly 9700 acres -around 3900 ha.- are utilized following an ecological approach.The certifying agencies are the following: Low Input Viticulture and Enology – LIVE, Demeter Certified Biodynamic®, Oregon Tilth Certified Organic, Salmon-Safe, and USDA Organic. Changing perspectives, fortunately, in regards to the production of sustainable wine, Spain seems to have done their homeworks adequately. For instance, initiatives such as those promoted by WWF Spain have the objective of increasing the importance of Spanish ecological wine industry. With this motivation, WWF Spain developed the project: “Ecologic wine and FSC cork”. Undeniably, although the path to cover is still long, the future is promising, both in the USA and in Europe. However, new regulations and marketing initiatives within this sector will absolutely help organic wine producers and distributors thrive and capture more market. 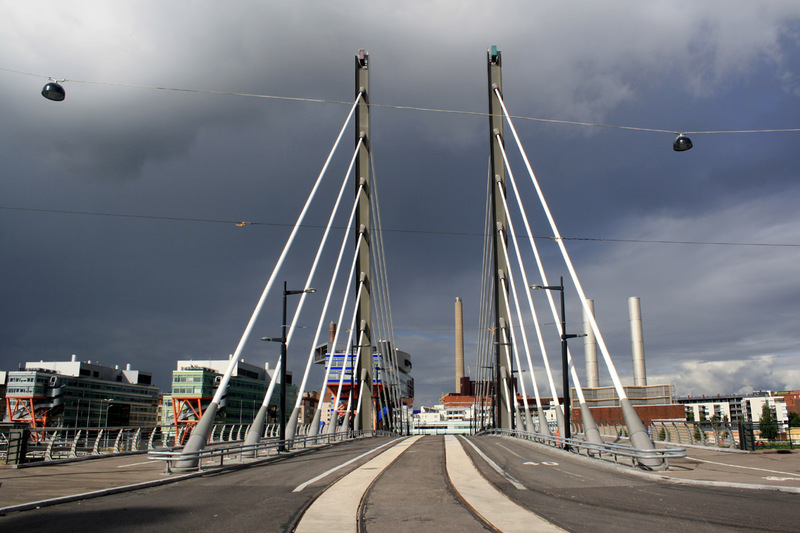 The Crusell Bridge is a cable-stayed bridge, designed by WSP Finland, constructed by Skanska Civil and commissioned by the City of Helsinki’s Public Works Department. The construction began in the fall of 2008 and completion was scheduled for late 2010. The superstructure of the bridge is composed of longitudinally prestressed concrete beams. Another important stakeholder that intensively supported the construction and design teams was the BIM (Building Information Modeling) software provider: Tekla Corporation. This bridge was one of the first designed according to BIM procedures. In summary, BIM is is the process of constructing a 3D digital model, before initiating -and, later on, in conjunction with- a real-world construction project. In other words, it is like the bridge had been already “built” by using a package of sophisticated software systems, with the advantage that modifications in the model are always available. Undeniably, The 3D model of the project helps different parties to better understand the concept and especially the details of the design, forming a common mental picture and understanding far more quickly and effectively than with traditional drawings. The contracting model was the so-called Design-Bid-Build. In tender phase, the bidders have available Web Model. Once Skanska was employed, they received the full model. After the bid, Skanska made a strategic decision: they decided to use a model in the construction stage as much as possible, despite this project was a pilot one. Fortunately, Skanska met with extremely positive results. A stunning peculiarity of this project is that only the 60 % of the design documentation was complete when the construction started. The rationale was to select the fabricators as early as possible, thus, enabling them to influence the final stages of design with the aim of achieving an optimal performance. In this regard, the construction modelling done by the Steel Supplier (Ruuki Corporation) played an eminent role. Since detailed design continued over a long period in parallel with the construction work, synchronization among the stakeholders directly involved in the construction was crucial. Indeed, this approach is common for fast-track projects, but less for traditional design-bid-build. Within the BIM framework, an appropriate sychronization allows the project manager best allocate resources, thanks to the accuracy of the available data, and, thus, to draw up a more consistent Construction Planning. Synchronization between the design team and the construction team was generally performed on a weekly basis. Nevertheless, whenever the designers made significant changes to the model, they informed the site. Synchronization procedures between Skanska’s contractor model and Ruukki’s fabrication model were also implemented. In addition, synchronization between the site and subcontractors’ models was also done, but on a less regular basis. The management protocol was the following: firstly, WSP (designer) uploads design changes to the model synchronization server. Afterwards, Skanska uploads scheduled changes to the model synchronization server. Consequently, Ruukki uploads fabrication changes and schedule updates (dates of order, fabrication, delivery, and so forth) to the synchronization server. Finally, all participants download “change” files and import them to synchronize their own models. There are numerous ways in which BIM was used for managing and organizing the construction phase, both directly as an information source and as a supporting technology for lean construction practices (such as the implementation of the Last Planner System). All of the bridge’s structure was modeled. Skanska maintained the model on a server at the construction site office, and appointed a civil engineer to the role of “contractor information officer”, who showed daily 4D video animations to the members of the construction team -according to the daily schedule-. As a result, the model was used a great deal for task and work sequencing, and for viewing work. Design and Planning of Temporary Structures. Fabrication and Installation of Structural Steel Components. Rebar Detailing, fabrication and Installation. As a matter of fact, Skanska Civil Finland had used the Last Planner System™ (LPS) in their projects for three years prior to the Crusell Bridge project, and have their own specialists who train site crews to use it. The LPS can be understood as a mechanism for transforming what should be done into what can be done by working to release constraints on tasks, thus, forming an inventory of ready work, from which Weekly Work Plans can be formed. It has two main focuses: reliable short-term planning, and creation and development of a social system onsite (team building, network of commitments, promises, and mutual trust and respect). Site personnel admitted that they still had a lot to learn about the LPS. Using this approach gave them better understanding of time, flexibility, and the problems that hindered work. It became clear that production problems onsite tended to arise whenever subcontractors missed planning meetings. additionally, subcontractors usually gave unreliable dates for task completion, promising to deliver work that couldn’t actually be completed by the date promised -although, paradoxically, this is precisely the type of behavior that the LPS is designed to prevent-. All the stakeholders directly involved in the design and/or construction processes gained undeniable knowledge and experience. Some of the software used and the delivery processes for future projects were incrementally improved. Using BIM and LPS from the very beginning of the project involved creating willingness for learning and improvement. Using the model to complement construction management techniques (planning, control, information exchange, meetings, quality control, and so forth) was extremely effective. Use the model synchronization feature permitted to achieve fast information exchanges. Use 4D scheduling to help understand and assess whether the network of commitments created during reverse-phase scheduling is realistic. Providing temporary structures form a significant part of the construction works, and 4D planning is being done; temporary structure models give a better understanding of the period over which temporary structures are needed. Importing laser scanning point clouds into the model to check locations and work quality is highly effective. Used well, it can prevent a great deal of rework. Use the model for visualization during LPS planning meetings to improve understanding of the product and the process. It is important to involve project partners from outside the site as well as site teams in periodic LPS planning meetings, to synchronize pull of detailed design and fabrication information as well as fabricated components. It should be ensured that all participants are committed to upgrading their software tools simultaneously, so that problems related to backward compatibility between different versions of the same application are avoided. Source: BIM Handbook, Second Edition. Authors: Chuck Eastman, Paul Teicholz, Rafael Sacks, Kathleen Liston. El día 21 de marzo tuvimos el segundo desayuno-debate del curso, en referencia a uno de los temas fundamentales dentro del ámbito de la sostenibilidad y, en concreto, de la responsabilidad corporativa en materia medioambiental: la Economía Circular. Para ello, contamos como base de partida con un documento con un informe del Foro Económico Mundial: “Towards the CircularEconomy: Accelerating the scale-up across global supply chains”. Tras el debate, querría enfocar este blog en reflexionar sobre el sistema actual de gestión de residuos en nuestro país en lo referente a aquellos Residuos Sólidos Urbanos destinados a reciclaje y susceptibles de ser gestionados mediante un Sistema de Depósito, Devolución y Retorno (SDDR), en sustitución de los Sistemas Integrados de Gestión (SIG). De esta forma, el SDDR actuaría como un sistema complementario al SIG, cuya razón de ser sería la de aportar una mayor eficiencia global al proceso de reciclado y reintegración a la cadena productiva de los materiales que gestiona. Efectivamente, un SDDR podría suponer una mejora de la economía circular en referencia a los materiales de los envases, dado que la adopción de un SDDR implica cerrar el círculo (close the loop) de la cadena de producción del material contando con menores pérdidas de flujo. Con caracter global, el SDDR contribuye al incremento de los envases destinados a reciclaje, reduciendo el impacto ambiental (menor volumen a vertedero y a incineración). Este incremento queda cuantificado en la banda del 36 al 49%. El SDDR permite la identificación y cuantificación en tiempo real de los residuos de envases sometidos a este sistema, lo que reduce incertidumbres en los inputs destinados a valorización material. La eficiente separación en origen de un SDDR implica un incremento sustancial de la calidad del material reciclado (al contar con una cantidad de impurezas e impropios muy limitada). Esto supone mayores precios de venta del material reciclado y menores costes asociados al tratamiento de impropios de este material. En términos económicos, según este informe, se generaría una situación win-win en la que tanto los entes locales como la industria del reciclado reducirían los costes de recuperación. A este respecto, el municipio gerundense de Cadaqués (que es asimismo la localidad más oriental de la Península Ibérica), llevó a cabo el año pasado una experiencia piloto en la que se probó un SDDR local. A tenor del pertinente informe de análisis de la prueba, el SDDR implantado contó con una gran acogida por parte de la ciudadanía y del comercio (tanto en supermercados como en pequeño comercio), y ratificó que la adopción de este sistema supone un aumento global notable en el volumen de recogida selectiva, así como un incremento de la calidad de los materiales recuperados. Por consiguiente, el ahorro neto resultante de la recogida de envases mediante este sistema ha sido cuantificada en el entorno de los 30.000 euros. No obstante, en España la opción de SDDR parece muy remota, ya que buena parte de la industria vinculada al sistema de gestión de envases actual (SIG) se opone a adoptar este otro sistema, esgrimiendo fundamentalmente el desmedido nivel de inversión que supone la medida, que no compensa el aumento del volumen de material reciclado, así como el gravoso perjuicio para el pequeño comercio que supone la adopción del mismo. En este blog querría tratar sobre la importancia de llevar a cabo procesos integrados de co-creación en el desarrollo de nuevas ideas, y, específicamente, cómo dicha generación colaborativa de ideas es un factor de éxito para las start-ups. Efectivamente, en el ámbito del emprendimiento, la idea de la co-creación como aspecto fundamental para la mejora de la calidad de nuestra propuesta de valor es muy intuitiva: si componemos grupos de trabajo lo suficientemente heterogéneos, esto es, equipos con personalidades y formación dispares, pero con una alta capacidad de detectar tanto las “señales” del mercado como las nuevas oportunidades del sector al que queremos entrar como emprendedores, es muy probable que generemos modelos de negocio con una alta aceptación por parte de nuestro mercado objetivo. Para lograr el éxito, el proceso de co-creación nos ayuda de forma que las distintas perspectivas de cada miembro nos ayudan a comprender de manera más acertada las necesidades más decisivas de nuestro target y a determinar qué productos o servicios -y qué características concretas del mismo- se adecúan más acertadamente a dichas necesidades. Efectivamente, esto es lo que estamos llevando a cabo gracias a la asignatura de “Innovation”, dentro de nuestras asignaturas comunes: nuestra labor individual consiste en postear al menos dos ideas de negocio, con la motivación de que nuestros compañeros opinen, evalúen y aporten nuevas ideas a la nuestra reforzando así la propuesta de valor asociada a la idea inicial. No obstante, los escenarios de co-creación pueden ampliarse para llegar a abarcar no sólo un grupo de trabajo, o un colectivo de trabajadores dentro de la misma corporación. Gracias al potencial de las redes sociales, la co-creación puede llevarse a cabo congregando grupos cada vez más numerosos y eclécticos, con el propósito de colaborar en proyectos que van más allá del ámbito estrictamente empresarial – aunque altamente vinculados a éste-. Por otra parte, el adecuado empleo de esta técnica es muy interesante para aquellas empresas que necesitan mantener una relación más cercana con sus clientes, con objeto de fomentar la confianza con su target y de reforzar la experiencia de marca. (…) las ideas deben compartirse, no protegerse (…). Cuanto más se amplifica una idea, más fuerza adquiere. Cuando una idea es buena, acaba teniendo su propio «espacio en antena» (…). Cuando las ideas se comparten, se confiere poder a las personas en lugar de ejercerlo sobre ellas. Le Corbusier: a propósito de la función social de la Ingeniería. “Una casa es una máquina para vivir. 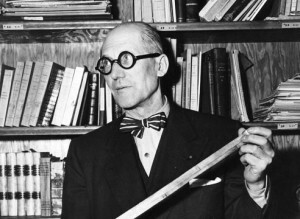 Le Corbusier (1887,1965) es uno de los máximos representantes de la arquitectura racionalista de entreguerras. El arquitecto nacido en Suiza (y nacionalizado francés) tuvo un papel fundamental en el desarrollo del Movimiento Moderno (junto con otras figuras esenciales como Frank Lloyd Wright, Walter Gropius, Alvar Aalto o Mies van der Rohe). Como Miembro fundador del Congreso de Arquitectura Moderna, participó, en 1933, en la redacción de la Carta de Atenas, documento fundamental en la historia del urbanismo contemporáneo. Este aspecto sería desarrollado por Le Corbusier mediante el estudio de su sistema de medidas “Modulor”. Efectivamente, es de destacar la gran importancia que Le Corbusier otorga a la idónea conjugación de estética (vinculada tanto al concepto “clásico” de la misma como a la realización personal del hombre, su “razón de vivir”) y técnica (vinculada a la capacidad del hombre de interaccionar con el medio dominándolo y alterándolo, en virtud de sus procesos productivos) como fundamento de la construcción. 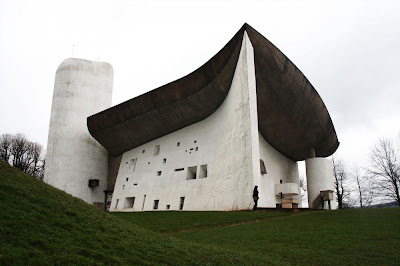 Un ejemplo de ello es la capilla de Notre Dame du Haut (emplazada en Ronchamp, Francia). Como opinión personal, no creo que estas conclusiones sean exclusivas al ámbito de la Arquitectura o de la Ingeniería Civil, en su creación de espacios “habitables”. Creo que toda la ingeniería en su conjunto ha de adoptar estas premisas, con objeto de que las actividades productivas que gestione sean establecidas atendiendo a un compromiso social completo e integrador, el cual ha de ser entendido como deber deontológico. Por este motivo, entiendo la “estética” en un sentido ampliado: la responsabilidad del ingeniero con la sociedad supone una mejora de las condiciones de vida del individuo, en un sentido total (salud, descanso, bienestar, interacción con su entorno, etc. ), lo que implica asimismo la necesidad de una correcta gestión de las externalidades que pueda acarrear su actividad. Por consiguiente, el aspecto estético de la ingeniería también incluye el respeto medioambiental, en tanto que una actitud positiva en esta dirección minimiza los riesgos de eventuales alteraciones en el medio que supongan una merma en las condiciones de vida de los afectados. Para concluir, os dejo con un documental en el que se explica más detalladamente el particular concepto de la vivienda de Le Corbusier. En primer lugar, voy a presentarme: soy Borja Morán, Ingeniero de Caminos, y estoy realizando actualmente el Máster de Ingeniería y Gestión Medioambiental (MIGMA) en la Escuela de Organización Industrial (EOI). Por mi parte, espero que el grupo de blogs relacionados con nuestro máster sea fructífero de cara a compartir experiencias y puntos de vista con mis compañeros. 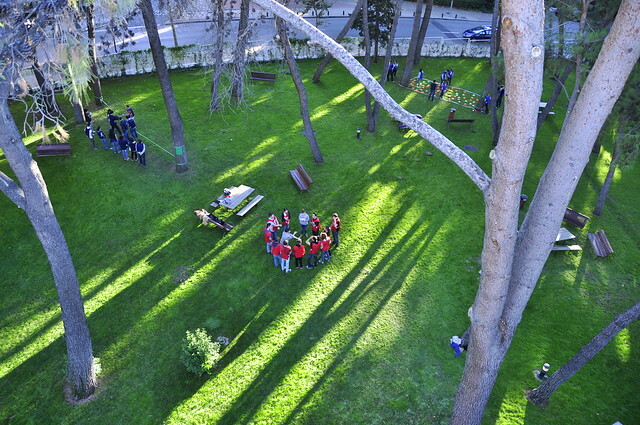 Quiero dedicar mi primera entrada en el blog de la Escuela de Organización Industrial (EOI) a la actividad de Outdoor Training que pudimos disfrutar el pasado jueves, 31 de octubre, en su sede en Madrid. En concreto, voy a centrar mi post en la última actividad de dicha tarde, que consistió en la presentación de un spot publicitario en el que debíamos presentar un Fórmula 1 confeccionado con piezas de cartón. 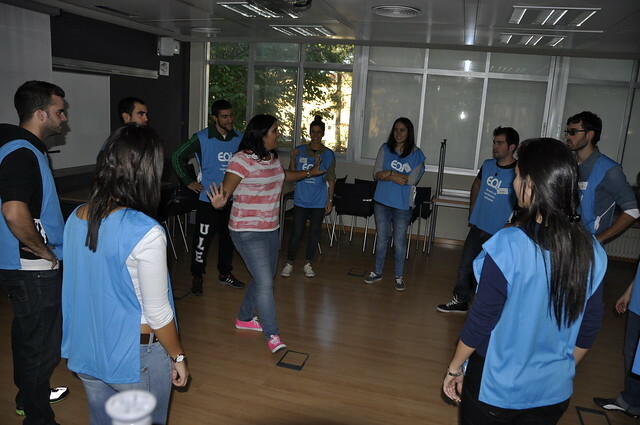 Con objeto de seleccionar el anuncio ganador, cada grupo participante valoró a sus rivales en función de tres variables: confección del coche, creatividad y ejecución. En relación con la creatividad del spot, los anuncios que contaron con más aceptación fueron aquellos fundamentados en contar una historia cuyo argumento giraba en torno a los valores añadidos que proporciona conducir un vehículo de alta cilindrada: libertad, evasión, velocidad… En suma, se pretendía transmitir satisfactoriamente a la audiencia la emoción de marca de cada escudería a través de un contenido publicitario eminentemente narrativo, más que descriptivo. Efectivamente, esta estrategia a nivel de marketing recibe el nombre de storytelling. Se trata de una innovadora técnica para la que el objetivo primordial no es presentar las características y virtudes del producto, sino conectar con la parte emocional del usuario mediante una historia plenamente desarrollada que gira en torno a las experiencias que supone el disfrute del producto. Este nuevo enfoque, junto con otros de características similares, enmarcados en las tendencias de “nueva publicidad” (como las de branded content), será en un futuro próximo esencial para los departamentos de marketing de muchas empresas, especialmente en aquellas para las que reforzar adecuadamente la imagen de marca es fundamental a medio y largo plazo. Otro aspecto fundamental del concurso fue la correcta “construcción” del Fórmula 1, al que los equipos, en función de las fichas obtenidas, podían añadir dibujos y elementos accesorios, de cara a mejorar la estética del producto. Para ello, tuvimos que emplear nuestras dotes artísticas para perfeccionar la apariencia de algunos elementos del coche. Indudablemente, la preocupación por la estética de lo ofertado por el anuncio es fundamental, pero centrarla exclusivamente en el producto de venta es insuficiente. Evidentemente, la estrategia de creación de anuncios estéticamente atractivos estriba en la creación de sinergias potenciadoras del mensaje publicitario a través de la configuración de un entorno en el anuncio que sea altamente atractivo para la audiencia. Por ejemplo, la conjugación de moda y arte es estilísticamente impactante y muy atractiva. Y con esta motivación, el blog de Celia Quijano, periodista y personal shopper, trata de esta eficaz combinación. Para Celia, moda y arte son dos disciplinas con nutridos aspectos comunes, que se van entrecruzando insistentemente, en virtud tanto de la innovación como de la renovación cíclica de ambas disciplinas. El resumen de su filosofía es contundente: “moda y arte van de la mano”. Su carácter inquieto e inconformista dota al blog de un ritmo vibrante y dinámico, de un alto nivel profesional y con personalidad propia. Asimismo, su compromiso con el lector nos permite acceder a nuevas perspectivas creativas francamente sorprendentes. Arte y moda: en definitiva, una fusión que refuerza la estética “global” del producto, y que, para un grupo nutrido de empresas, permite llevar a cabo estrategias efectivas de branded content que resultan altamente beneficiosas en sus esfuerzos de fidelización del target, en la línea de lo que viene proponiendo Celia Quijano en cada post.